Both of these countries emerged from these tragedies with renewed vigor and optimism, and also, with openness and respect for mapping. You can see both countries today, not only via aerial viewpoints but also in Street View images in Google Earth and Google Maps. 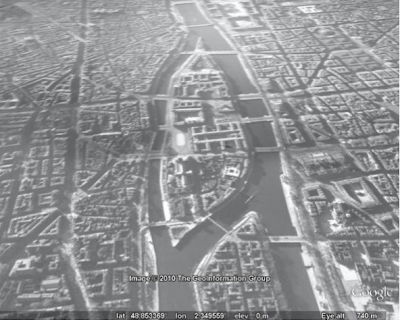 For Earth, just click to enable the Street View layer (one of many) in the lower left; and in Maps, drag the Pegman onto your viewport when you’re looking at most anywhere in France or the United Kingdom. 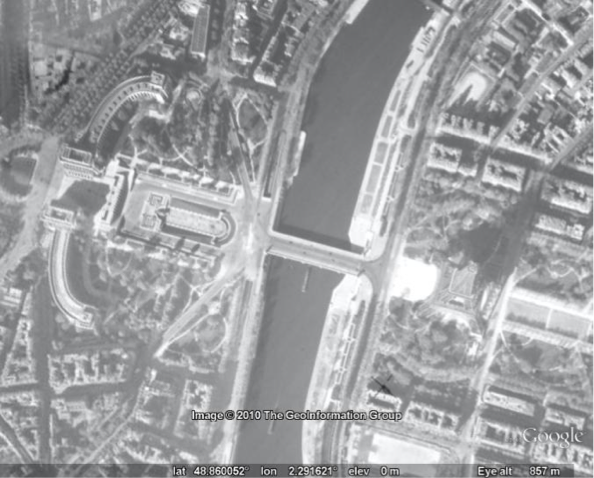 Thanks to archivists around the world, photos of past times and places are making their way to Google Earth through the historical imagery feature. Once enabled, you can scroll back and forth through time to make and unmake history with your fingertips. In fact, these images might provide you with the view you’ve needed to share your memories of former places and times with others. Few events in human history have the scale of World War II. 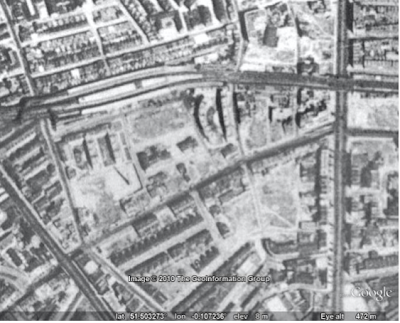 Its spatial breadth and temporal extent make it difficult to comprehend by those of us too young to have lived it. There are history books, movies, and photographs, but they portray isolated places and events more than the connected whole. 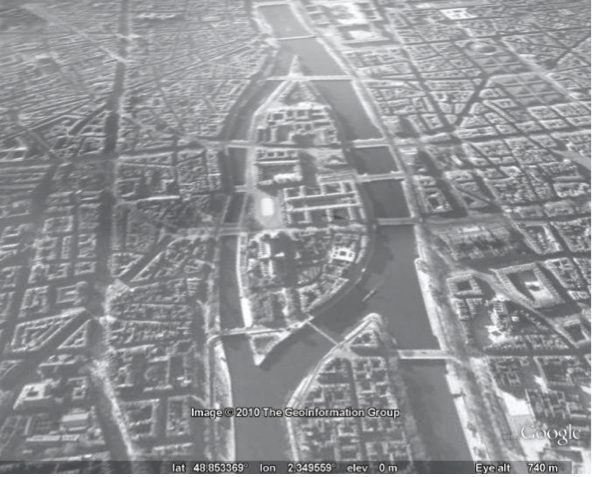 We’ve addressed this by launching historical imagery in Google Earth in a number of new areas, including London in 1945, in coordination with archivists in these countries.